After the interest with the red kites I did consider using one of the images from that day for this month's selection, but the video clip was the star of that outing, so the honour goes to the little owls. October is pretty much the last month I can run workshops for the owls, as by the middle of the month, the young should have left (though one still hasn't as I type this) and just the adult male should be left. As he's not as keen to come down for food as the youngsters, sessions are rather limited. But during October, fun can still be had, and by aligning the car (hide) with a section of the barn roof that I could see straight down, I managed to get one of the owls to run right towards me. 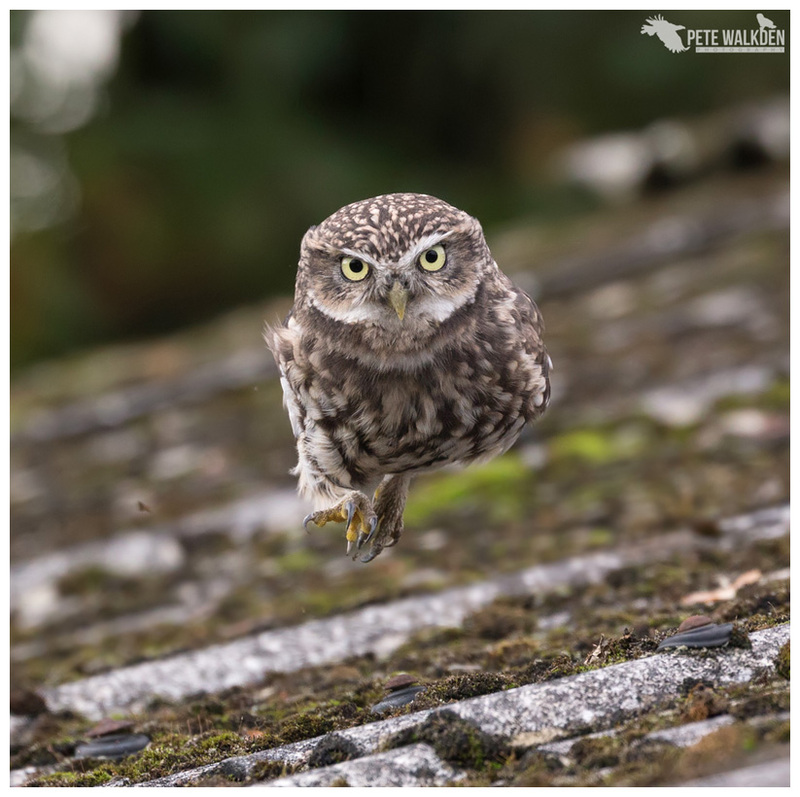 Anyone who has enjoyed a workshop with me at the site knows how quickly they cover ground at, so getting sharp images as they run isn't as easy as you'd think, but on this sequence I got a couple, and one was where the owl had skipped pretty high up, as it scampered along. Add the intense stare to the action shot, and we have a winner.